I attended a research conference in Tromsø, Norway, November 17th to November 19th. I stayed two nights at Thon Hotel Polar. Do find another hotel, if staying in Tromsø. It is simply not worth the price. 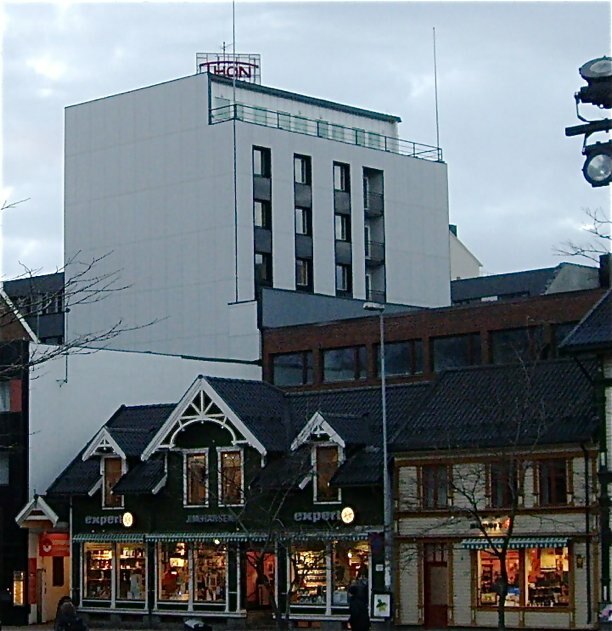 Thon Hotel Polar is located in Grønnegata, in downtown Tromsø, within reach of all the city has to offer. I was greeted by a nice and welcoming staff at the reception desk, at was given the keys to my room with no delay. Those serving in the breakfast room did their job efficiently, but lacked the warm welcoming attitude I appreciate as a guest. 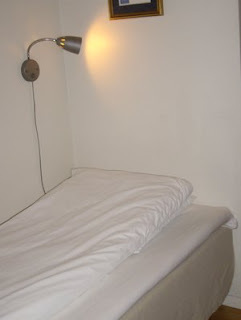 I was given a very small single room with an equally small bathroom on the second floor facing the street. It had a neutral or rather boring decor brightened up by a few pieces of decorative art. 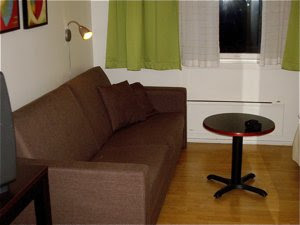 It had one narrow bed as well as a sofa and a desk leaving very little space for anything else. 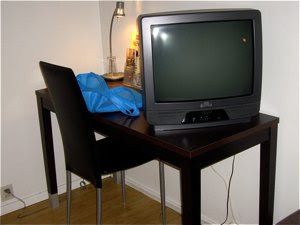 The TV was placed on the desk, making it very impractical to use as a working space. The bathroom was tiny with little room for any personal belongings. There was a rack to hang your clothes but no closet to store extra luggage. There were parquet flooring in the room and tiles on the bathroom floor and walls making it easy to clean. There were minor needs of upgrading in the room, but the bathroom was in need of serious need of repair. The tiles had cracks or the lines between some of them had started to deteriorate. There were clear signs of wear and tear on the ceiling and wooden trims connecting walls to floors or ceiling. The Thon Hotel Polar offered a breakfast buffet included in a fixed price. It was served in Egon, a adjoining restaurant. When staying in a hotel you learn to appreciate what is a premium breakfast, and you certainly learn what isn't. The buffet at Thon Hotel Polar was very average compared to the best I've been served. This refers particularly to the selection. You had a basic selection of different foods, but you could not choose from several varieties of what you wanted. The range of bread was equally small, and I did not care much for the warm ingredients. You could also choose a small selection of healthy options as fruit, yogurt and cerals. When I stayed at Thon Hotel Polar, I could choose from "boiled" bacon , mini sausages and scrambled eggs. The quality of the separate ingredients was not fully satisfactory to my taste. "Inhouse" restaurant Egon connected the lobby area. Average priced food, but horrendously expensive beverage. I paid close to NOK 90 (11 EUR) for a pint of beer!! Good hygiene and standard in the public areas. I paid NOK 810 per night (101,6 EUR / 134,4 USD) per night, including breakfast. This may not be a high price, but I found the room at Thon Hotel Polar low value compared to the overall standard of the room and premises. We like your blog very much. 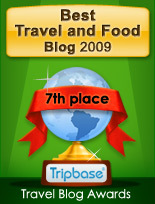 Thanks for sharing your travel experiences. 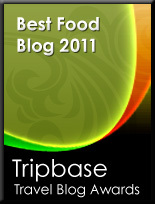 Nice information given about this topic..Great very informative blog shared here..Keep blogging like this.